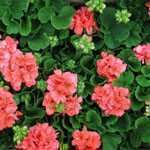 Geraniums are perfect for providing a stunning display during the summer months. 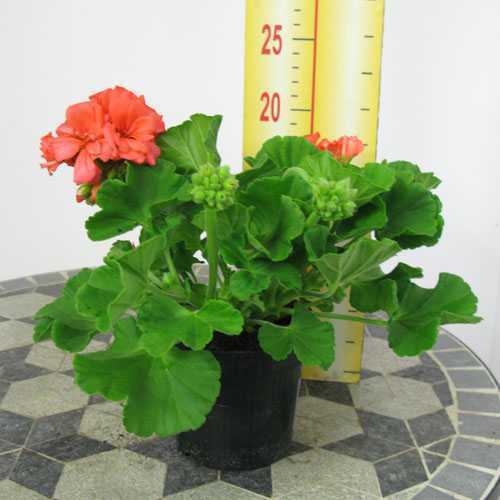 These orange/red Geraniums are grown in our nursery in a 10.5cm pot they have attractive green foliage and orange red flowers on upright stems. They are ideal for beds baskets and containers and will flower throughout the summer. To Plant; - gently loosen plants from their trays by pushing them up from the base. Knock out plants from pots by giving a sharp tap to the bottom with the handle of your trowel. Remember, keep your hand securely over the top of the plant when doing this so you do not drop it on the ground! Handle plants by leaves or rootball. Use a compost that drains freely. Dead head regularly. Alternative colours are available, please check our website! Please note: Colours may differ slightly from the images we will select the closest match available.